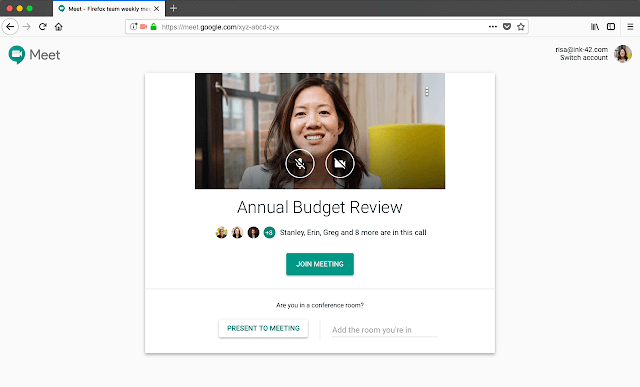 For those that may not recall, Hangouts Meet is the new and improved Hangouts aimed G Suite customers. It is a significantly better experience than the classic Hangouts and supports things like WebRTC and dramatically improved video quality. As part of the announcement, Google pointed out that Firefox support for Meet is now supported so long as you are using version 60 or higher of that browser within your domain. While the new Meet events will be the default going forward for domains once this rolls out, Admins can revert back to the classic Hangouts if they so choose. This can be done by going to Apps > G Suite > Google Hangouts > Meet Settings and unselecting “New meeting experience.”. Google points out that this will be available during the transition period which is a gentle way of saying that this option will, at some point, be going away.